Ouch. 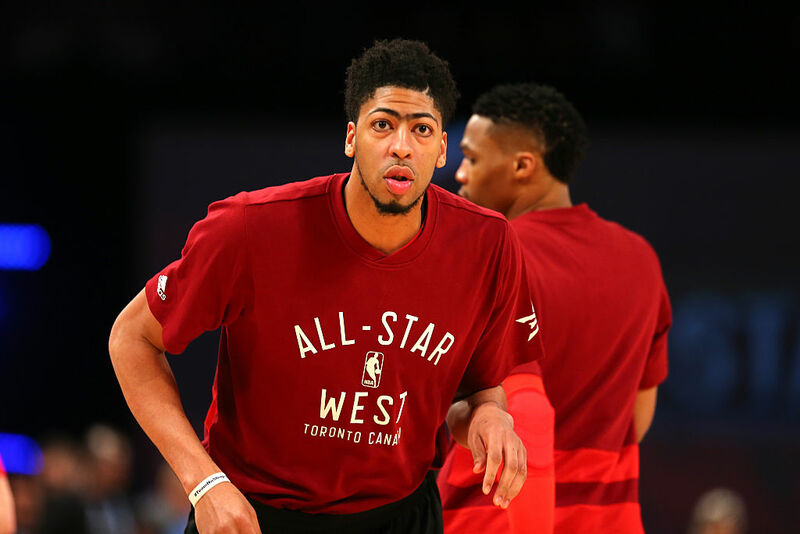 Anthony Davis just got some very bad news. Nothing life-threatening, but it is still very, very bad news. Bad enough to ruin your day, your week, your month… or even your year! Anthony, if you're reading this, I'll be there for you. Let's address #1: Anthony was not named NBA MVP during any of his first four seasons. In theory, he had a teeny tiny glimmer of a chance to be named MVP this year, but on May 10th, Steph Curry was given that honor by unanimous decision. #2: He was only voted All-Star starter once in his first four seasons. One shy of the "twice" requirement. He was not an All-Star starter a few months ago, in Toronto. That left #3: Anthony's final hope for earning that $24 million bonus required him to be voted at least as a member of the All-NBA Third Team this year. The All-NBA team results came out today. Anthony didn't make the cut. And with that, Anthony does not earn the $24 million pay bump. Instead, he will continue to earn the 25% standard maximum deal that he agreed to when he signed as a free agent last summer. Ok, so let's not cry for Anthony Davis today. He's still going to earn $121 million over 5 years. Still, it can't feel great to know how close you came to making an extra $24 million. I wonder how close the vote came?!?! Ayesha Curry net worth: Ayesha Curry is a Canadian American chef, author, model, and television personality who has a net worth of $10 million. Dwyane Wade has had a productive 15-year career in the NBA. But some of today's stars are making way more than he ever has.